Founded in 1909 by John Cotton Dana, the Newark Museum is New Jersey's largest museum and one of the most influential in the United States. An institution dedicated to art, science and industry, the Museum boasts 80 galleries of world-class collections including American, Asian, African and Classical art. 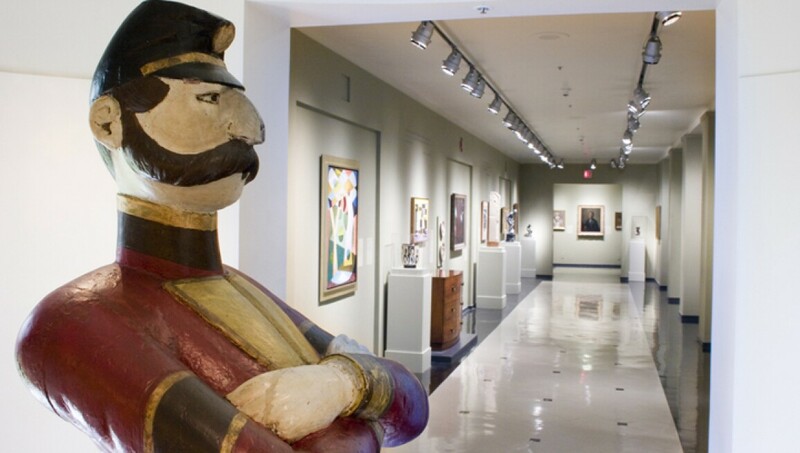 The museum is home to the largest collection of Tibetan art in the Western hemisphere, the 1885 National Register Ballantine House and one of the leading collections of American Modernism in the country. Other notable collections held by the museum include 18th to 20th century American Painting and Sculpture, an important array of decorative arts including the nation's most acclaimed collection of pots, classical antiquities representing Egyptian, Greek, Etruscan and Roman societies and 75,000 Natural Sciences specimens. The museum complex also houses the Victoria Hall of Science, the Alice and Leonard Dreyfuss Planetarium, the Billy Johnson Auditorium, the Alice Ransom Dreyfuss Memorial Garden, an authentic Schoolhouse from 1784 and the Newark Fire Museum.